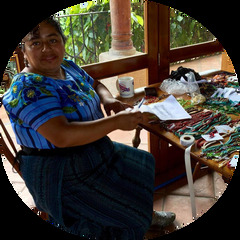 This rainbow colored necklace is handmade in Guatemala with pearlescent and glass seed beads. Features 12 strands measuring 20 inches with a bead-and-loop adjustable closure. We want our customers to be completely satisfied with their purchase at Snazzy Bazaar. To this end, we have a 30-day Free Returns policy, so you can shop with the assurance that your purchase is covered and you are free to change your mind.